Convenience meets fresh, delicious food and beverages at Speedy Café. You’ll find Speedy Cafés inside of select Speedway Stations. Our Speedy Café stores boast a wide selection of handcrafted beverages, freshly made sandwiches, pizzas, and sides. Our pizza is great without the wait, deliciously topped with melted cheese and fresh toppings. 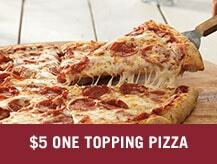 Now for a limited time, get a large one-topping pizza for only $5. 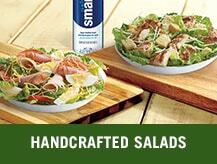 Our Handcrafted Salads are freshly made for you. Crisp Romaine lettuce layered with grilled chicken breast, select garden veggies, shredded cheese, and your choice of savory dressing. Plus, add a 2L Smartwater for only $2. Use your Speedy Rewards card when you fuel up on freshness at Speedy Café and earn extra rewards for your purchases. You can redeem your points for items like Gift Cards, Beverages, Food, & Fuel Discounts. The rewards you love just got fresher with Speedy Café. With every purchase of your favorite items, you’re one step closer to earning a coupon for FREE product, bonus points or discounts! Convenience food has its place—but it’s not in a Speedy Café. You’ll find Speedy Cafes inside select Speedway stations, offering a variety of freshly made, delicious food and beverages, including a wide selection of handcrafted beverages, all reasonably priced. If you’re a fan of fresh, you’re going to like the way we do things at Speedy Café. Gone are the days of roller dogs and heat lamps. Here, everything is fresh and made to order. You call the shots, too. Tap the screen to choose from toasted or cold subs, 6” or 12”, bread options, cheese, toppings, and a variety of spreads. 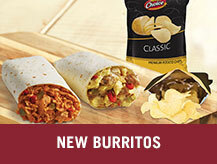 Conclude with add-ons and location: Dine-in or Carry-out. Paying for your Speedy Café order and any extra items is easy and all in one place—at the main register. Don’t forget to use your Speedy Rewards® Card! Grab your order from the Speedy Café pick-up counter. Whether you eat with us in-store or get your favorites to-go, enjoy the fast freshness of Speedy Café today!